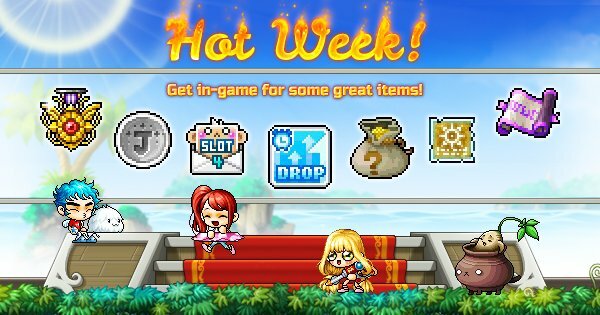 According to the official site, MapleStory is going to launch a whole week of Hot Days. The gift you can get this week requires a character Lv. 33 or above. If you claim 15 gifts, you will be able to see the Hot Week reward. Remember that you need to clear any unclaimed gifts, then login again to see the Hot Week reward. Plus, daily Gift Box can be obtained by clicking the gift box icon on the left side of the screen. • Selective 4 Slot Coupon: Untradeable, 7-day duration. • Epic Potential Scroll 50%: Untradeable, 7-day duration.